Oooooh the Victoria Sponge, the mother of all cakes. The quintessentially British masterpiece that deserves all the love of a million baby pugs. Rumour has it this lil beauty gained its name because Queen Vic herself enjoyed a slice, with a cup of tea from her golden throne no doubt. And if it's good enough for Queenie, then it's good enough for me! (And you). I urge, no I insist, that you give this a go this weekend. Throw on a union jack dress à la Geri Halliwell, mix up some Pimms, and have a British baller of a weekend. Method: Preheat the oven to 180 degrees celsius, grease and line two sandwich tins. Beat together the butter, sugar, flour, eggs and baking powder until smooth. Divide this evenly between the tins and bake for 12-15 minutes. Meanwhile, make the filling by beating together the butter and icing sugar until smooth. Then add a drop of vanilla extract and continue to stir. When the sponges are totally cooled, spread the filling onto one half of the sponge. Cover (and I mean cover) this with jam of your choice. Pop the other half of your sponge on top and lightly sprinkle with icing sugar. It couldn't be easier and it couldn't taste better! 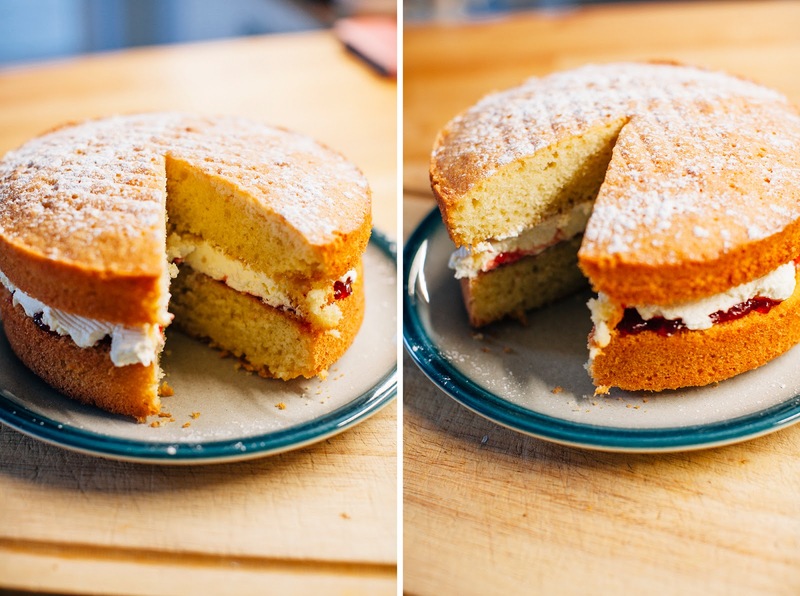 Do you love Victoria sponge as much as I do!? I'd love to know if you'll be giving this a bake soon. Until then, chat with me on Twitter or follow me on Instagram and I wish you the loveeeeeliest, cakiest of Thursdays!